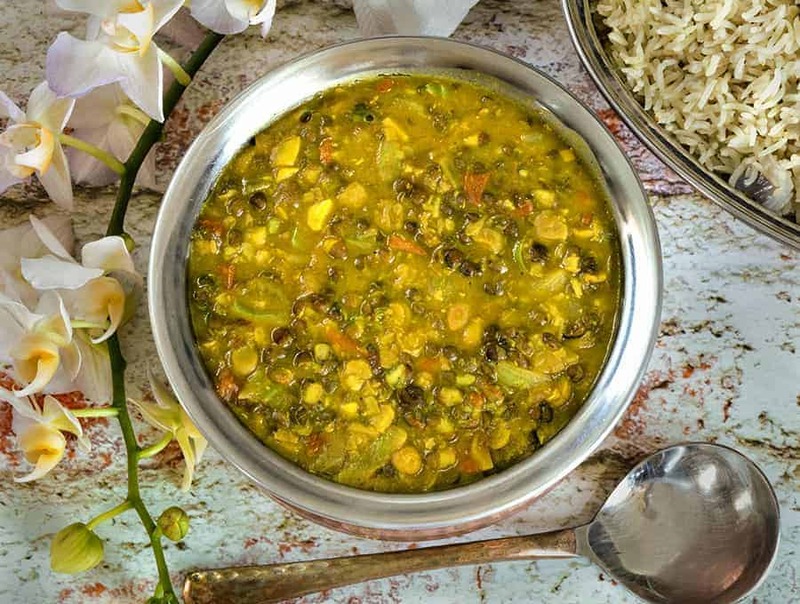 If you like dal, you’re going to love this Langar Ki Dal, which is the creamiest, most flavorful way to combine and cook two dals in your Instant pot! Langar is a Punjabi word for the community kitchen or community meal that is made and served by volunteers at the Gurudwara (temple) every Sunday, and is served free to all visitors, no matter who you are. No one cares about your religion, your gender, your ethnicity, or anything else. Everyone is welcome to come and enjoy the meal. 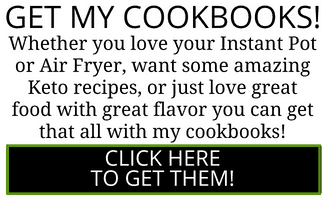 It tends to be vegetarian, and it is always absolutely delicious. Gurudwara’s also have a sweet that make from flour, ghee and sugar called Kadha Prashad, and let’s be honest, that’s pretty much the only reason my brother and I went to the Gurudwara with my Punjabi mother. In our defense, we were little and we also had no idea what the priest was saying in Punjabi, so the “dessert” was the highlight of the whole service for us. I once asked if we could have seconds, and if looks could kill, both my brother and I would have been burned to a cinder when my very indignant mother and grandmother stared at us. It’s not supposed to be about the taste, it’s supposed to be a religious token. But then they shouldn’t make it that delicious if you ask me. But that’s okay. I learned to make it myself so now I can have all the Prashad my hips will permit me to eat. So there. 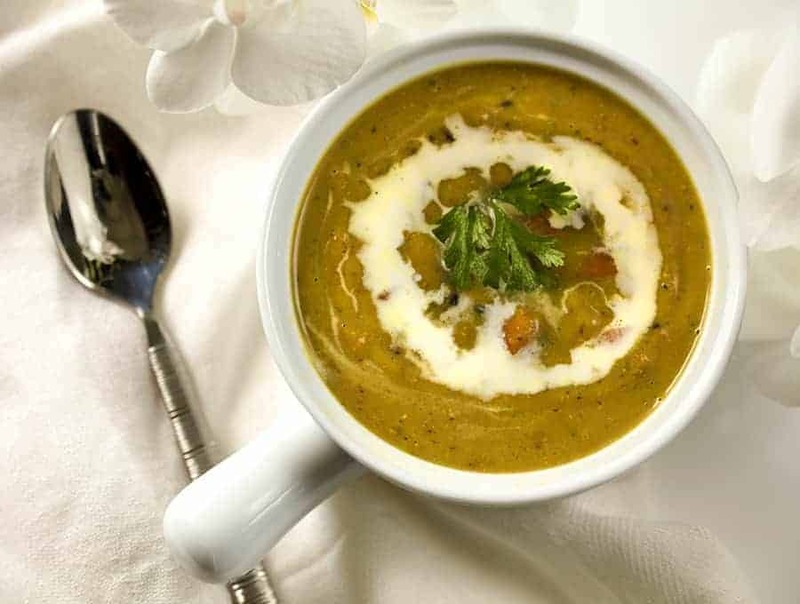 Looking for more delicious dal recipes? Check out my Pressure Cooker Rice and Dal. 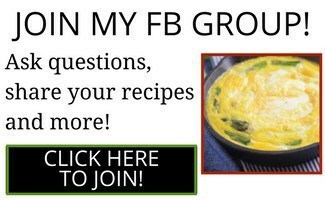 It’s a great Indian comfort food that’s easier to make than you’ll believe! 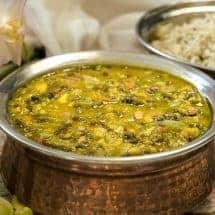 Another great dal dish is my Instant Pot Moong Dal Soup. It’s a super delicious traditional Indian soup that’s made easily in your Instant pot! Make a healthy, vegetarian Indian dish in your Instant Pot. 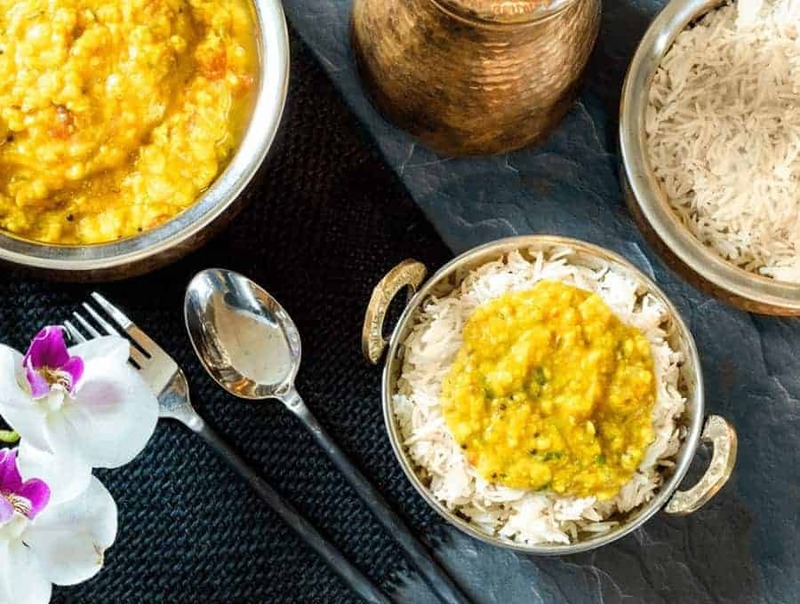 This traditional Langar Ki Dal combines two types of dal to make a hearty dish that's perfect. Combine the Urad and chana Dals with water, salt and turmeric, and cook under High Pressure for 30 minutes. 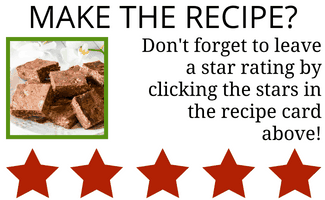 You can use the BEAN setting on your Instant Pot for this. Meanwhile, heat a nonstick pan on your stove, and when that's hot, add the ghee. When the ghee is hot and shimmering, add the chopped onion and sauté for 30 seconds. Add minced ginger and minced garlic and cook these aromatics for 5 minutes, until the edges of the onion start to brown slightly. Add tomato and spices and mix well. Add water and mix again. Crush the tomatoes with the back of your spoon as they cook. Set aside until the dals are cooked. Once the dals are cooked, allow the pressure cooker to release pressure naturally for 10 minutes and release any remaining pressure. 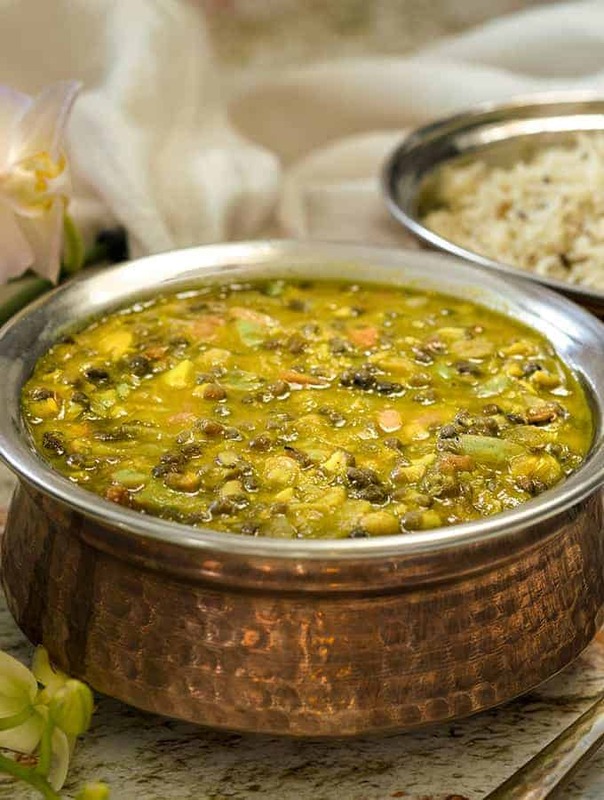 Using your spoon, crush the dals well to get a creamier texture, leaving some whole dal in the mix. Pour in the tomato and onion mixture and mix well before serving. Darn! I bought a pound each of Chana dal and mong dal a local Indian grocery because I love them both. Before using them I decided to go Keto. This looks so good, but I’m NOT going to do 29 carbs! Am I?